Fill out our simple form and get quotes from local Princess Party Suppliers. There’s no better way to bring a fairytale to life than through a princess party! If you’re looking for magical sparkle for a little princess’ big day then look no further. Princess Parties often vary depending on supplier, with common offerings including a range of entertainment, such as games, glittery face painting, magic, stories, balloon modelling and of course guest princesses! Princess parties are high energy, fun and totally infectious - children love joining in with the magic! For information about hiring a princess party for your event, submit a quote request today and hear back from suitable suppliers. 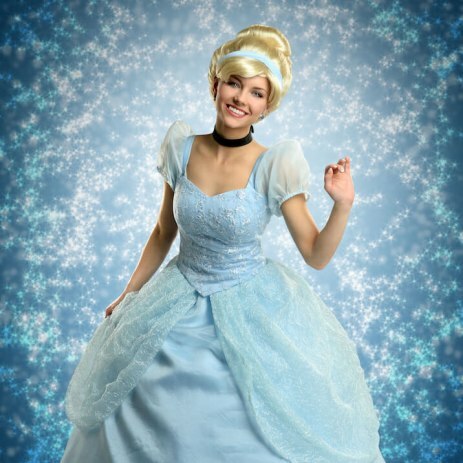 Let one of our Party Princesses make your event truly magical, including; meet and greets, sing a longs, storytime and more. We have many Princess characters available, including our Unicorn Princess. Beautiful princesses will attend your little one's party for hosting, live singalong, photographs and much more. Adding that extra sparkle! Adding extra magic to all events! Our Princesses entertain the children and put on the most amazing day! Perfect for children’s birthday celebrations, princess parties are suitable for in or outdoor venues, and are usually flexible regarding specific themes or requests so be sure to include any special requirements within the request. To find out more about hiring a princess party, simply submit a quote request.